Intentional torts, including libel and slander, false imprisonment or arrest, malicious prosecution or intentional infliction of emotional distress. The result of these personal injuries may have led to fractures or broken bones, sore or torn muscles, spinal cord damage, or even head and brain injuries that either temporarily or permanently alter your ability to work and enjoy a full, satisfying life. If this happens, you need to seek legal action against those that put you in these life-altering situations. 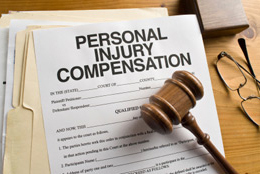 Dealing with a Personal Injury – You are Not Alone! If that unfortunate event has occurred, we encourage you to seek the assistance of expert Personal Injury Lawyers found at Jonap and Associates, P.C. We have handled numerous types of personal injury cases that have resulted from negligence and helped those who have been victims retain their rights and help them put their lives back together. While your health, auto, business, or homeowners insurance may cover some of the expense, the results may not be an award that truly compensates you for the damage that has been done. These kinds of situations are difficult to handle on your own, especially if you are the one injured because you must be able to establish the burden of proof and understand legal ramifications like the statute of limitations. That’s where the attorneys at Jonap and Associates, P.C. can help! 1. Compensatory Damages: These awards are designed to help a personal injury victim recover financially from the traumatic event. This includes monies for lost wages, economic losses due to being injured and not being able to work, medical expenses and overall pain and suffering. 2. Punitive Damages: These are awarded in situations where the defendant’s actions were found to be particularly egregious or negligent in leading to and causing the personal injury or the catastrophic injury. A good example of this type of award related to personal injury would be when a drunk driver injures you.